The De La Warr Pavilion is delighted to announce that we have today agreed to a new partnership to support young people in Bexhill and the surrounding area by becoming one of The Careers & Enterprise Company’s Cornerstone Employers. Regular, meaningful encounters with employers is an absolutely vital part of preparing and inspiring young people for the world of work. The Pavilion knows that this kind of support means young people are less likely to be not in education, employment or training (NEET) when they leave school. Becoming a Cornerstone Employer means the DLWP is committing to working together with our networks, the wider business community and schools and colleges to make this happen in Bexhill. What is a Cornerstone Employer? 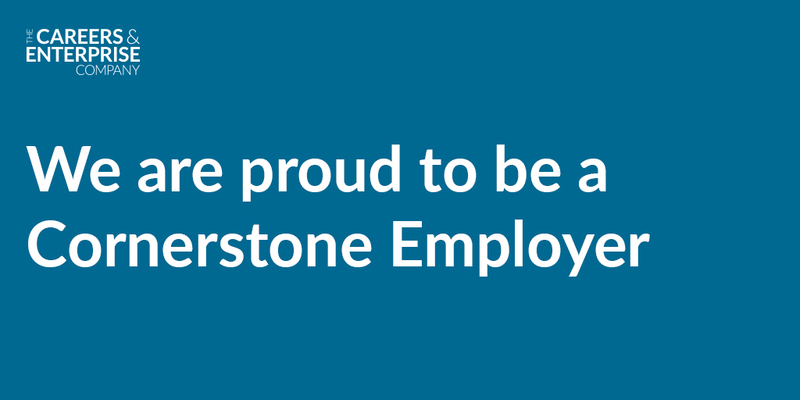 A Cornerstone Employer is a business that is invested in the successful and sustainable delivery of careers education for young people and commits to join a leadership group of local businesses to support the schools, colleges and young people in their area. The Cornerstone Employers work together with their networks and the wider business community to ensure all young people have the opportunities they need to be prepared and inspired for the world of work. If you would like to find out more about our new role as a Cornerstone Employer, you can visit our website here.